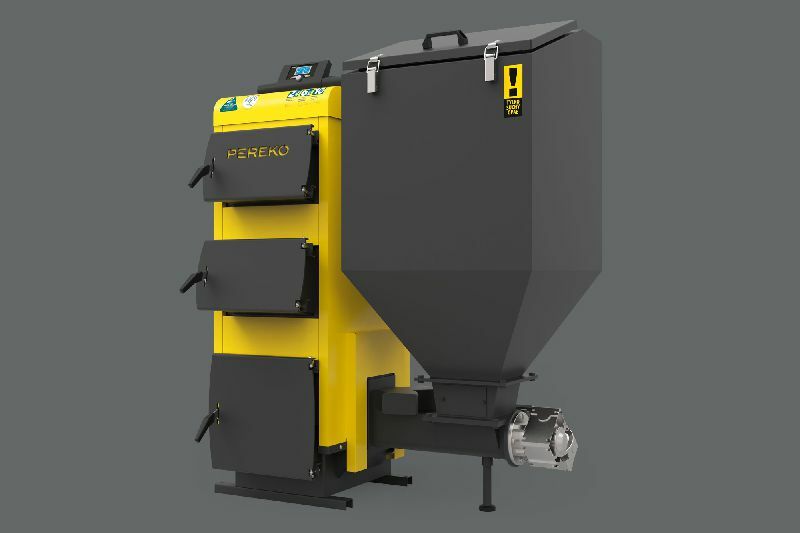 Use of a proven design of the body and heat exchanger  allows transferring heat in the possibly most effective way, maintaining the integrity and high reliability for many years. Eco-pea coal is a primary fuel for the KSR Beta Plus boiler, but using a burner completely made of cast-iron, it is possible to combust fine coal. 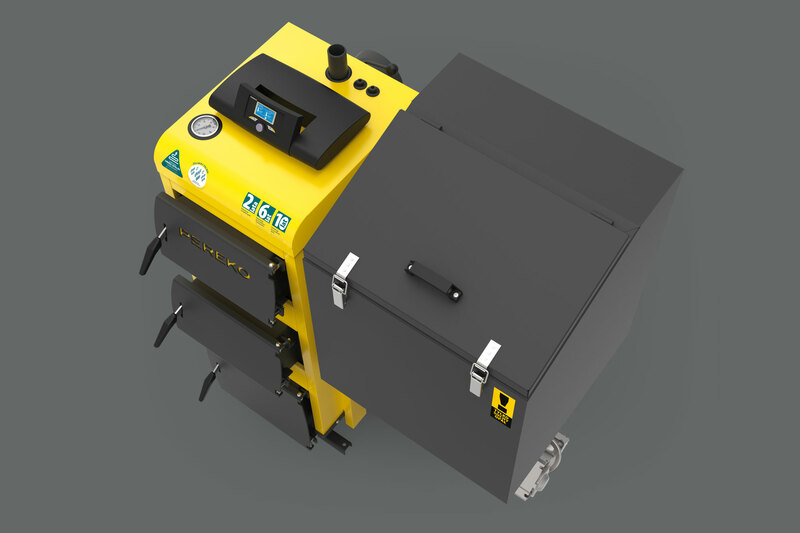 Cast iron burner  maintains higher temperature after firing up for a longer time, what allows using fine coal as a primary fuel. 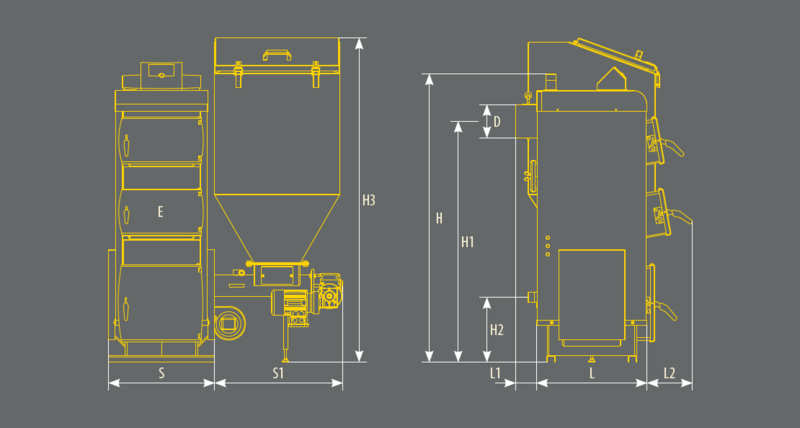 Improved efficiency is ensured by the use of the retort feeder , binary controller and modern ventilation system. ecoMAX 910 controller  takes care of the combustion process, doses fuel and air inflow. It controls also the operation of four pumps: central heating, domestic hot water, circulation pump and pump of the mixer. Control system can be adapted to each user profile reaching the desired temperature of heated rooms in a short time. KSR Beta Plus boiler can be additionally equipped with another module Room Control Touch and Net Control, allowing remote control. 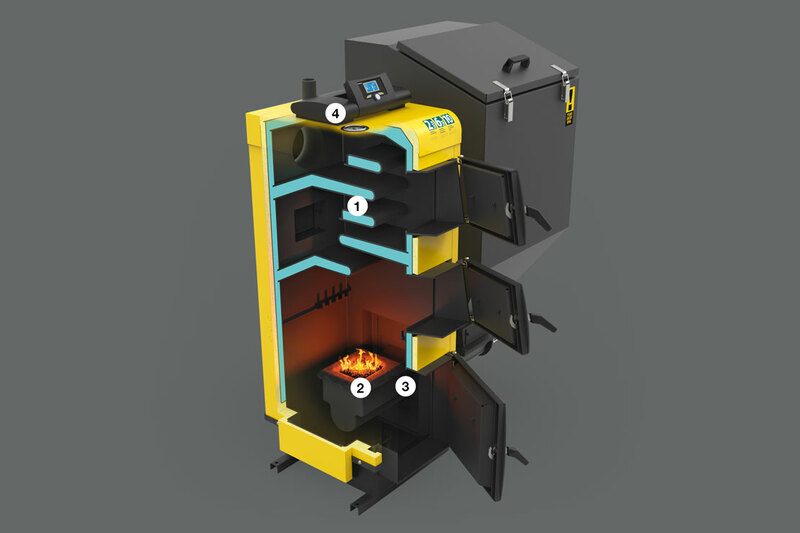 Several temperature sensors and the design itself ensure maximally safe operation of the boiler. Too high level of heat (85-90°C) initiates alarm signal and shutdown of the feeder and fan. Additional pumps are activated in case of a sudden increase of temperature and they distribute hot water through the system to cool it down. The device responses also in case of overheating of the screw in the feeder, lack of fuel or a problem with reaching the desired temperature. After the alarm signal STB sensor protects the motoreducer locking operation of the screw, what protects the boiler against overheating. Fine coal has similar properties to the hard coal but its price is considerably lower. It has a form of fine granules, which can be used as an additive to the other solid fuel or independently. 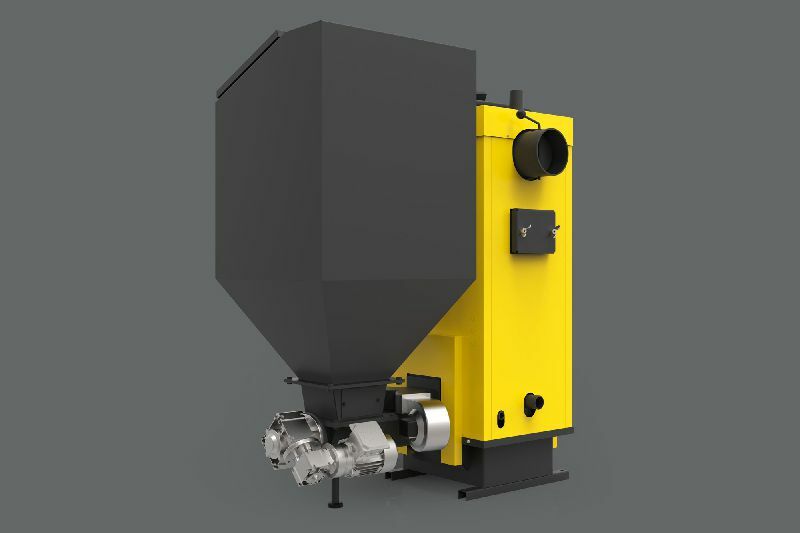 Design solutions used allows using fuels with various granulation - from loose to granules 0-32 mm.